Trinity Tree Service Alexandria is a one-stop tree care company in Alexandria. Our clientele can attest to the quality of our services. The expert arborists in our employ help ensure that they use the best methods and equipment to deliver what the customer wants and expects. You’ll also be able to find reviews for our company on Angie’s List, Yelp, and Home Advisor. One of the reasons why our loyal clientele trust us is because we always put safety as a priority. 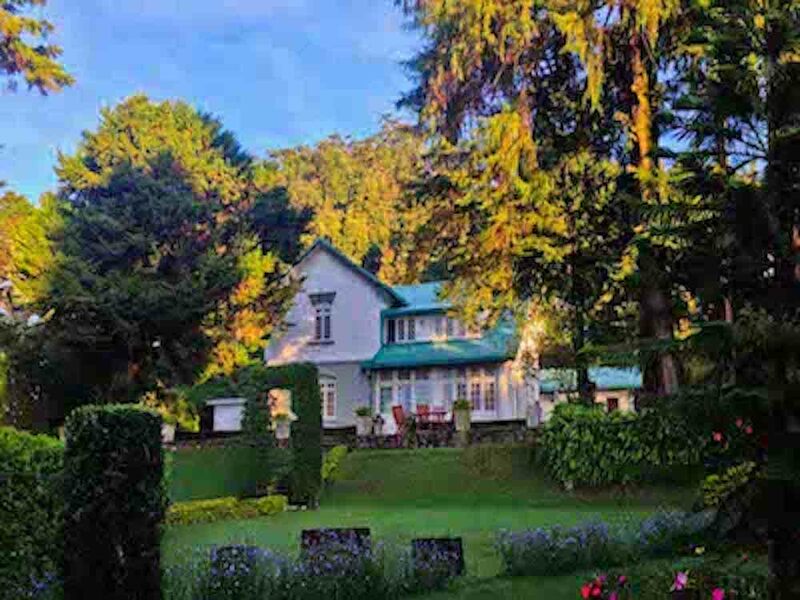 We also do our best to preserve the natural beauty of the surroundings, making sure we only do what is needed and not destroy anything needlessly. Trinity Tree Service Alexandria have been providing tree care in the area since 2001. Our professional arborists are equipped with the knowledge and expertise necessary to get the job done right and efficiently. Our company is also licensed and insured, and we provide our tree care specialists with competitive benefits and compensation to make sure that they always perform their best. We provide tree services on residential, commercial and industrial properties. We do not just offer our services for the sake of business, but we place the customer’s satisfaction and safety as our priority. Keep in mind that we are insured, bonded, and licensed to protect any homeowner or land tenant from legal and financial liabilities. Since our customers deserve the best, we also do our best to offer you affordable prices. We provide you options and let you make the decisions. Once you decide to avail of our services, we put it in writing, confirm the appointment through phone, and show up on time for appointments. Since our workers are professionals, they are easy to speak with and will even walk you through the process. They also clean up after the job is done, making sure that the area is both safe and cleared of any debris before leaving. We use first class equipment in all our tree services. Our cranes, cherry pickers, bucket loaders, and chainsaws are all well-maintained. No matter how big or small the job is, our workers always follow similar protocols to ensure consistency in the job they do. We also listen to our customer’s request. If they are against heavy equipment due to landscape issues or if the equipment cannot fit in the area, our tree specialists will make use of safety harnesses, climb trees and use manual equipment to get the job done. ​We take pride in quality service and guarantees 100% satisfaction. If you want to further understand and gain confidence in what we are able to do as a company, we would be more than happy to provide you with evidence of our high-quality services through documentation. We take pride in transparency, conscientiousness, and professionalism. We are not a regular door-to-door company offering you so-called “best deals.” We offer you alternatives and walk you through the processes so you can be aware of all the potential risks and benefits. We hope that you consider our company the next time you need tree removal services or tree stumps cleared on your property. Please be read below about the tree care solutions we offer. You can check out a detailed summary in the service pages. 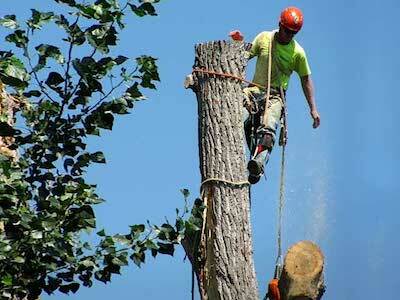 There are several reasons why you need to avail of tree removal services. The tree may already be dead and is no longer pleasing to look at or it may also pose a safety hazard. If the tree is dying or is showing signs of decay, it can also become dangerous due to the falling branches. If a tree’s branches touches your roof, it can void your home insurance and may also pose a risk. It could also become an obstacle to your yard or parking space. You also need to have it removed if a storm has damaged it. Arborists might also find other reasons that are not visible to the naked eye. One example is when the tree has internal decay and poses structural problems. The tree may have also formed a bad crotch, have cracks in them, or is infested by disease or insects. The above reasons require the removal of the entire tree so it will not be an obstacle or a hazard. Our tree professionals will provide you with feedback after they have assessed the area. Tree removal is a complex job that requires careful planning, skill, and experience. We don’t just remove the trees, but we also take into consideration your property’s value and any of the hazards that might be involved. The first step is to assess the property. Our tree specialists will survey the area and offer you an affordable price quote based on the required work. They will also pay close attention to nearby structures to ensure the safe removal of the trees. Our tree professionals will also brief you on what kind of work needs to be done. The next step is to schedule the job on a date that is convenient for you. We also consider your safety concerns, especially when it comes to the use of heavy equipment. 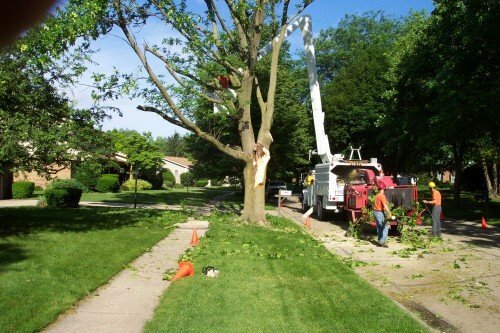 The tree removal services will cover all of the necessary work, from clearing to cleaning up the area. Before we leave, will make sure that the area is free of any debris, which may cause safety hazards. Our services are affordable, but we will never compromise on the work that we do. Once the job is finished, your property will be clean, beautiful and safe. 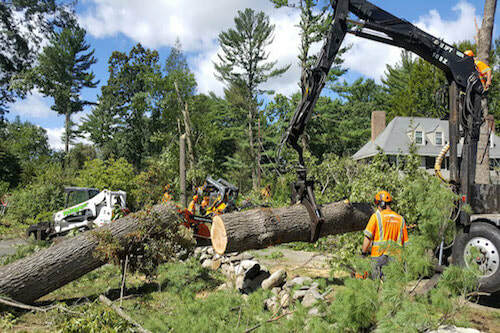 Tree removal is just one of the services that we offer to residents of Alexandria. 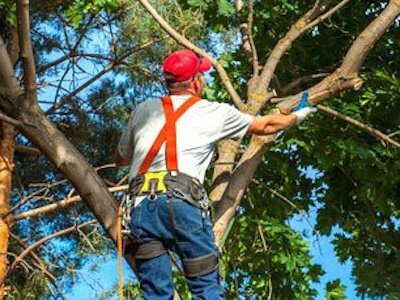 Another tree care maintenance service that we offer is tree trimming. Just like tree removal, our tree professionals will first evaluate the trees and the area to provide the best and most affordable solutions for our customers. Some customers may sometimes opt to trim the trees by themselves, mainly due to budget concerns. That is why we offer affordable services so you need not take the risk. Leave it to our professionals to trim the trees for you. We’ll make sure the job is done efficiently, from start to finish. There are various reasons why you need to have the trees in your property trimmed. One of the main reasons why people do it is to promote safety, making sure that there are no damage branches that may fall and injure people. Another would be for aesthetic value and to increase curb appeal. These are things that we can help you with! Trees need to be well-maintained to keep its overall beauty and health. It is important to keep your tree symmetrical, so it looks pleasing to the eye. Additionally, it also maintains the tree’s balance. Making sure that it is stable and is at no risk of toppling over. Our tree professionals will meet with you to assess the job, provide you with a quote, and schedule the most convenient date for you so they may get started on the project. They will suggest different services based on our assessment of the situation. No need to fret about it being too expensive! We try to keep everything affordable and meet your budget. We only want what’s best for our customers. We also consider the use of heavy equipment. If your property is too small for our equipment, the workers use safety harnesses and manual tools to climb the trees and prune them. Our ground crew will also serve as spotters to keep the other workers safe and will clean the ground right after the pruning process. We do our best to ensure high-quality work and your safety is our top priority. When the job is done, we will clear everything for you. If you are unhappy with how the tree turns out, we’d gladly prune them again until you are satisfied with the outcome. Stump grinding or stump removal is another service we provide clients in in Alexandria. This involves removing a tree stump after it has been cut or after it has fallen. Our tree professionals will provide you with all the necessary information you need to know as the process can differ from one client to another, depending on the case. We use the best equipment to deal with the unsightly tree stump. As with our other services, we will always coordinate with you first and assess the area before starting any work. We will work out a convenient schedule with you to make sure that you are present while we do the job. Why remove a tree stump? This is often done because of many reasons. One of which would be when the root ball has already grown considerably. When the root ball has been removed, you will be left with a large hole on the ground. Our tree specialists will make sure to cover this large hole, so it does not pose a danger or ruin your property’s aesthetics. 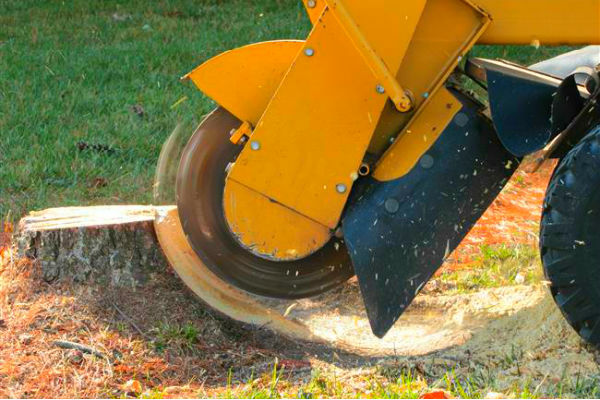 Stump grinding is a fairly tedious task, hence we often recommend that people seek professional services for it. First, the stump is grounded into smaller pieces. After that, these smaller pieces are then used to cover the ground then covered by dust and earth. After some time, the ground stump will decay and become part of the surroundings again. This way, you’ll be able to plant another tree in its place. If you are unable to decide which method is best for you leave it to our professionals to choose the best options. Usually, the best option is stump grinding, so you are not left with an unsightly covered hole in your property. If you choose stump grinding instead of stump removal, our professionals will repurpose the wood chips into firewood or mulch. This is part of our goal to become more environmentally conscious. Rest assured that our workers will not leave any messes and they will even provide you tips on how to recycle or reuse the wood chips from the stump. We can even take care of those for you should you rather not deal with the by-product of the process. We will do our best to keep the affordable without compromising the quality of work. Just sit back, relax, and let us do the hard work. There are certain instances wherein a customer might require emergency tree services. This often happens following a storm, accident, or renovation. We are just one call away. 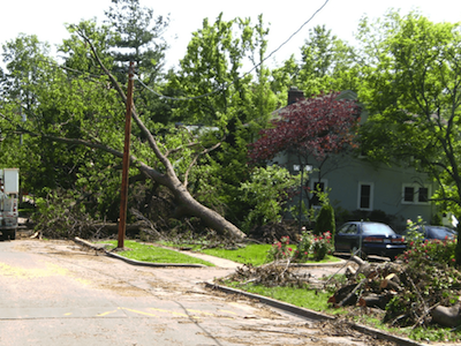 We will provide you with emergency services such as trimming or tree removal to ensure your safety. Our professional tree workers are always willing to lend a hand. Our emergency services are available 24 hours, seven days a week to cater to your needs. You can safely rely on us for emergency services such as removing a damaged tree or a tree that poses a threat to property or people. If, for example, you noticed that a tree is dangerously leaning towards your parked car or home, you can avail of our emergency services, and we will be there as soon as possible. 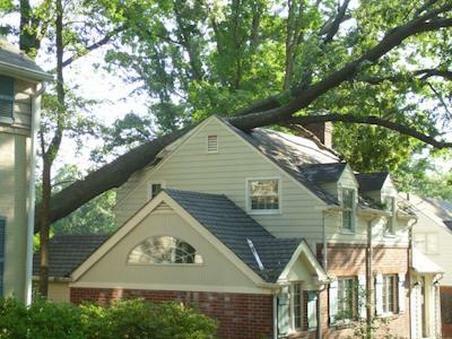 ​We can even remove low-hanging branches or trees that have accidentally fallen due to strong winds or rain. We will even help remove an incriminating tree in the neighborhood. Our tree specialists will do their best and restore your property so it will look good as new. We can make sure to clear your property of any debris that may pose a risk. Also, we work round the clock especially during inclement weather or when a storm is nearing. This way, we can immediately remove any branches or trees that may pose risks when the storm does hit. For tree services in Alexandria, VA call upon our professional workers to clear and assess the area first before we provide you with a price quote. Just like our other services, we discuss with you the best possible options before starting work. We take into consideration your safety, and the use of heavy equipment ensure that no further damage will be done. Our workers tirelessly work round the clock and are quick to respond as your safety and satisfaction are our top concerns. 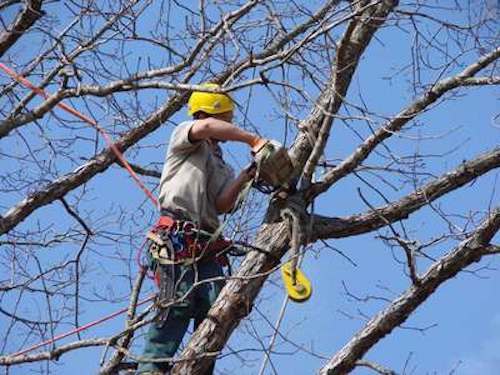 As a full-service tree company, we ensure safety, high-quality, and professional work 24/7. Our previous and existing clientele can attest to the quality and reliability of our professional services. 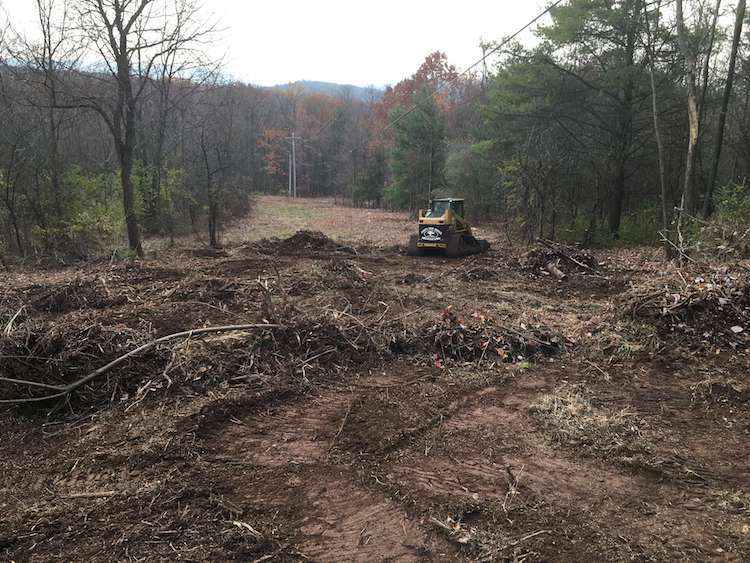 We also provide lot and land clearing no matter how small, or large your property is. We cater to residential, commercial and industrial property ensuring the same quality work. Commercial land development requires professional lot clearing. Our experts will survey the land area and work with the homeowners or developers to determine the best options for clearing the land. We will also consider legal matters and zoning, as well as make sure that the paperwork is complete. We offer you affordable quotes based on the land area, the type of work, and equipment used. We will make sure that you agree to our services and we will not obligate you to sign with us should the price be beyond your budget. After surveying the land, our workers will explain to you the process so you will have an idea of which trees and other vegetation will be removed. We also consider your feedback and any preferences you have. If you also need your backyard cleared, you can also avail our services. We’d be happy to adjust our price quotes to accommodate these small jobs and ensure that they fit your budget. We can also avoid the use of heavy equipment to prevent damage to your property and other vegetation. Our arborists are professionals, and they do their work one tree or bush at a time. We never rush the job, but we also do not waste time. Our crew will also make sure that the area is clean when the work is done. Should you have any complaints about the quality of work, we’d be glad to compensate by redoing the work as needed. We value your satisfaction and ensure you that we will perform high-quality work no matter how small or large the job is. Feel free to contact us for your lot and land clearing needs. We can help you save money by clearing away shrubs and unwanted plants and making sure that they don’t come back. Trinity Tree Service Alexandria is the # 1 choice for you!